Your In Luck! 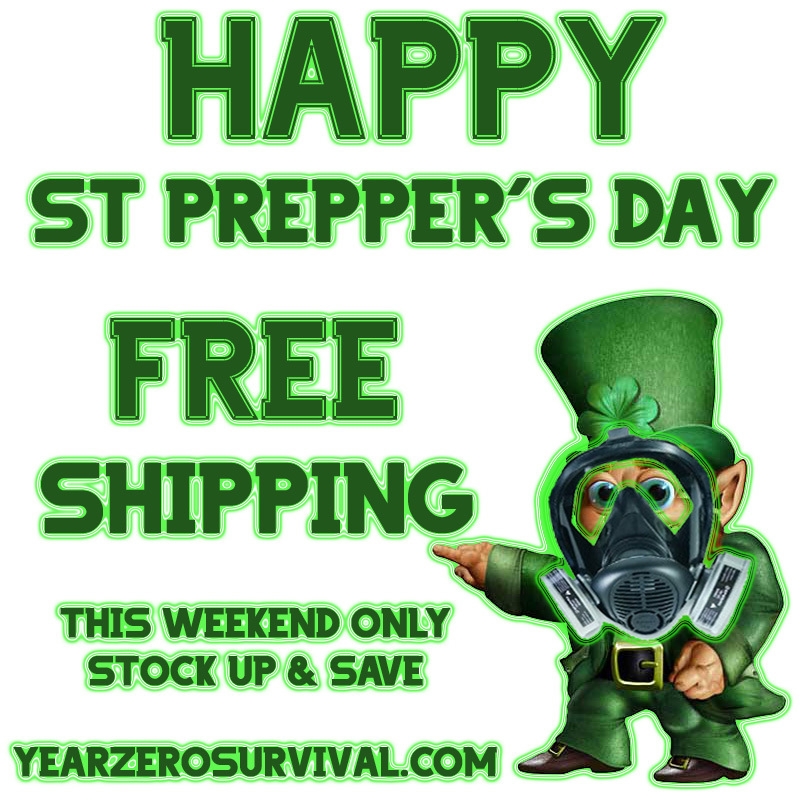 Happy St. Prepper’s Day! Enjoy FREE Shipping on all orders this weekend only! This entry was posted in Year Zero Survival Blog and tagged camping, disaster supplies kit, free shipping, free shipping weekend, hiking, knives, outdoors, prepper supplies, Survival gear, survival kits, tools by staff-writer. Bookmark the permalink.